This pleasant, Italian Renaissance-palazzo-style building was erected in 1923 and converted to a cooperative in 1979. It has 103 apartments. It has a nice copper cornice and a two-story, rusticated limestone base and the two top floors have attractive terracotta window reveals and there are balustraded balconies on the next to the top floor. 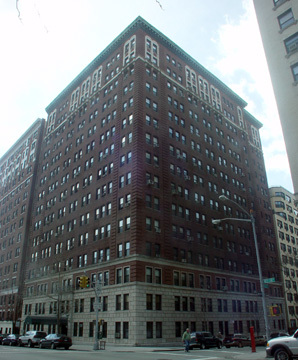 The 15-story building has a canopied entrance with the letters "R" and "C" incised above it. Nice lanterns flank the entrance. The building has a concierge but no sidewalk landscaping. The building's facade has protruding air-conditioners and consistent fenestration. The building has no garage. 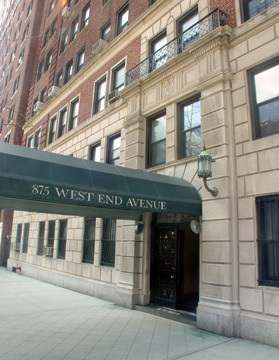 This is a quiet stretch of West End Avenue that is convenient to public transportation and one block from Riverside Park. Neighborhood shopping is convenient and steadily improving as high-end retailers continue to advance up Broadway.